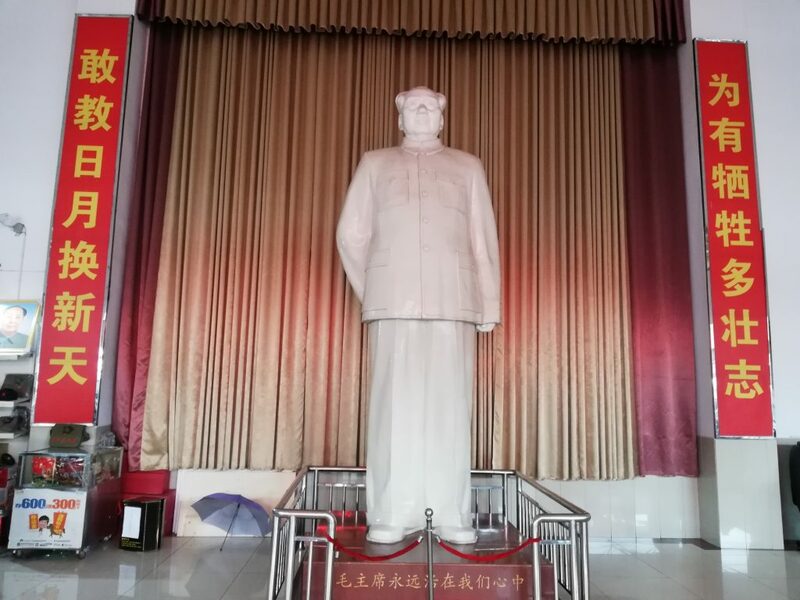 Pictured above: a larger than life white-lacquered brass statue of Mao Zedong, at the bus station where I arrived in Shaoshan. 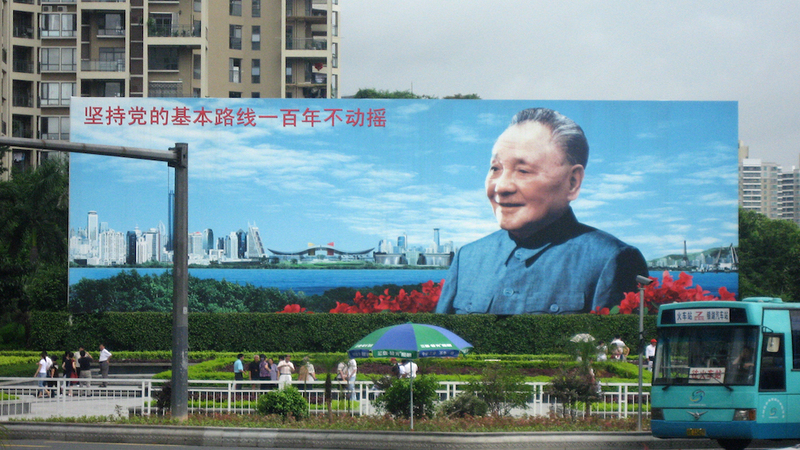 The caption reads, “Chairman Mao will always be alive in our hearts”, date 2011.3. So true for the vast majority of Chinese people. Patriotic, revolutionary songs were playing over loudspeakers in the station, making the scene feel uplifting and celebratory. The red banners on each side read, “Dare to teach a new day, so that there will be many sacrifices for great goals”. Magnificent communist-socialist inspiration not often seen in Western bus stations! 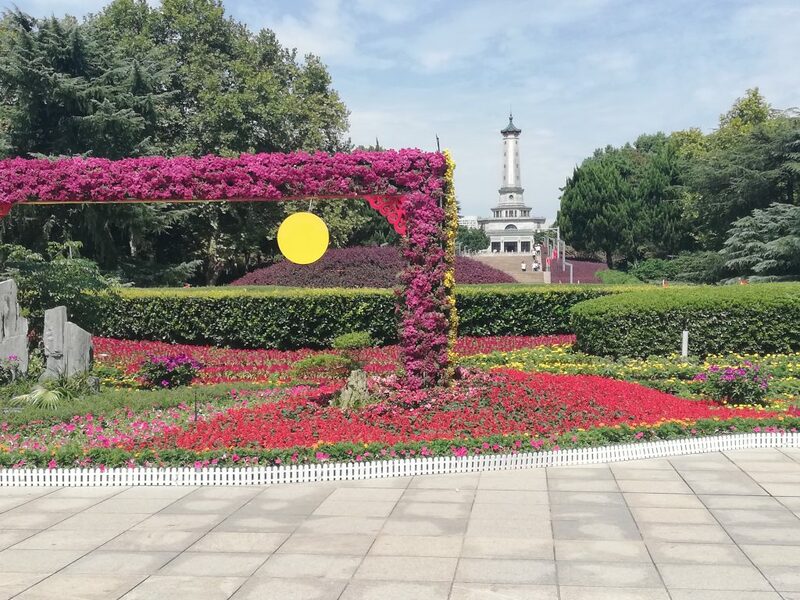 I just spent eight days in Hunan Province: Changsha (the capital), Shaoshan (Mao Zedong’s birthplace) and Hengshan (a national scenic area). This is not the really pretty western part that inspired the movie Avatar. It is more historical and socio-cultural. 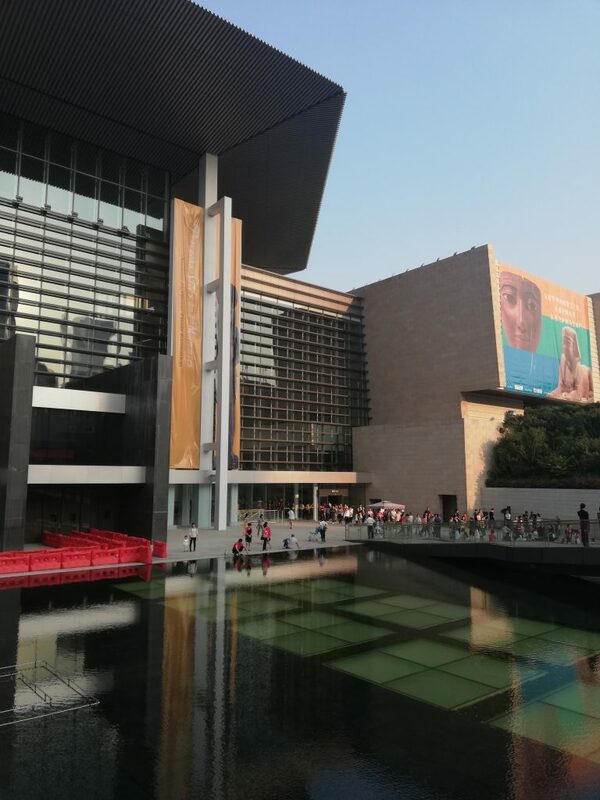 Don’t miss both excellent Changsha and Hunan Museums. They have most of the displays in English for foreigners and are world class. Of course, like everywhere in China, they are free. The Young Mao Zedong Monument is impressive and much bigger than I imagined. Unfortunately, I missed the museum there. I toured where Mao studied in middle school and came back to teach, which is full of modern history. The students were very nice to me, several of whom I talked to. Hunan University was founded in 976AD and is the world’s first. Am I surprised that it is not even mentioned in Wiki’s list of oldest universities? Otherwise, China would be #1 and Bologna, Oxford and Cambridge can’t have THAT! The Martyrs Monument is very moving and beautifully kept. 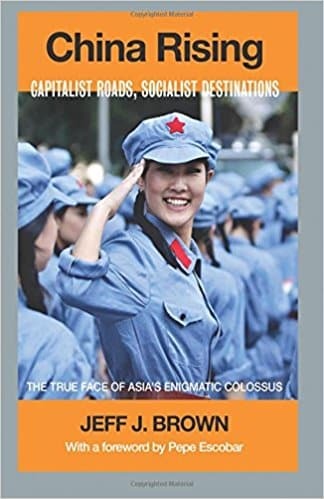 Not just Mao Zedong, but scores of China’s military, revolutionary leaders and heroes came from Hunan. Also in Changsha is Yuelu Mountain Park, full of historical places and an easy day trip. Shaoshan has to be seen to be believed. 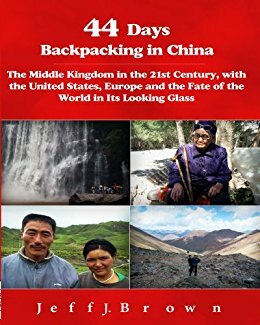 I left exhausted, with a much better understanding of modern China, and what it means for the world’s future. 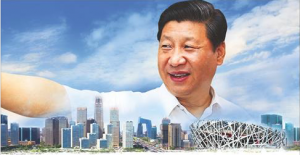 It confirms my previous comments that half the Chinese, mostly urbanites, like Deng Xiaoping’s reforms, but 95% of the people hold Mao’s socialist-geopolitical world views. Hengshan’s Nanyue Zhurong is a 1,300m Tang Dynasty (600-900AD) Daoist peak full of temples and some revolutionary history to boot. There are easy ways to get up and down, but I made the 22km, 10-hour roundtrip trek and slept very well that night! I learned that Hunan was ground zero to kick out Western imperialist drug dealers and colonists, starting right after the Opium Wars. It has been the avant-garde leader for a liberated country and is of course the spiritual soul of the Communist Party of China. Before NATO thinks about going to war with China, they need to spend a couple of weeks in Hunan, to see who they will be fighting against. I think Westerners would change their minds. 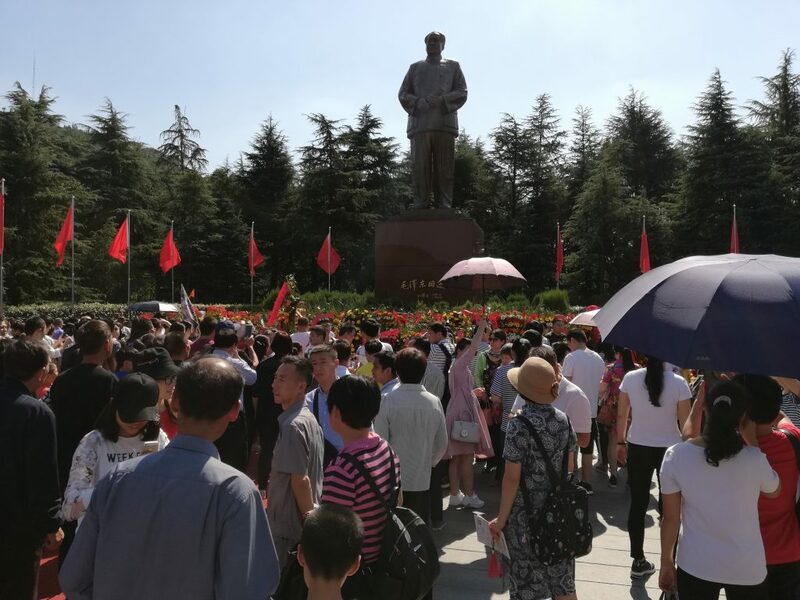 The resolve of the Chinese masses for a free and independent people has no bounds, as they would be fighting for communism-socialism and 5,000 years of Chinese nation-civilization – noble ideals that 35,000,000 souls gave their lives for. One-point-four billion citizens would mobilize and it wouldn’t even be a contest. Finally, need I mention Hunan cuisine, land of the hot pepper? I ate really well and the Hunanese like their beer ice cold. Count me in! Simply an unforgettable experience and highly recommended. Next time I go back to Hunan, I’ll tour the picturesque western half. The façade and atrium of the Hunan Museum. 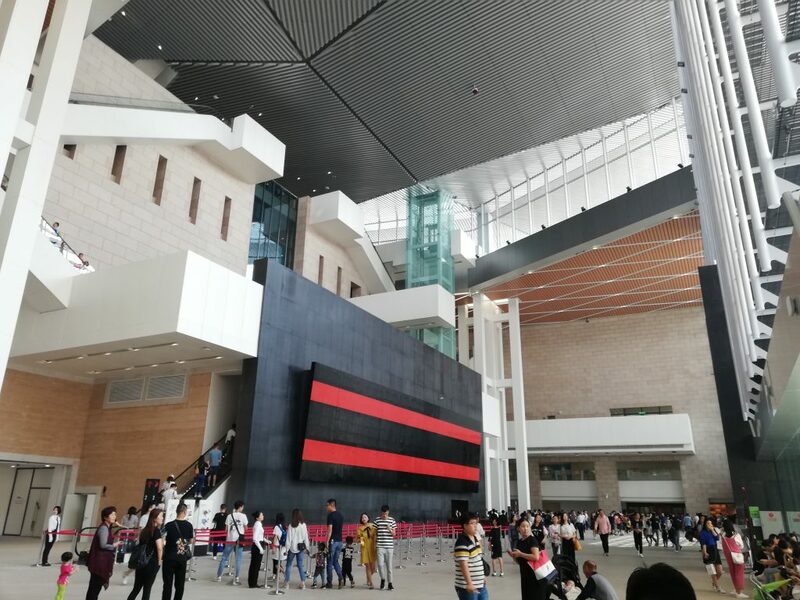 Every provincial museum I’ve been to in China has been world class, as good as you would find anywhere in Western cities. 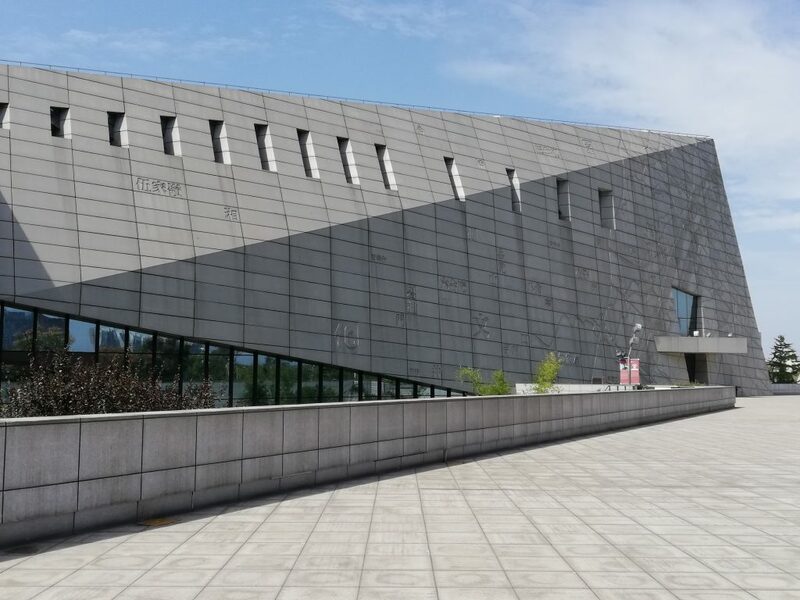 The Changsha Museum is part of big cultural park, with concert hall, cinema, library, etc. It is so modern that it would make a great set to film a science fiction movie. 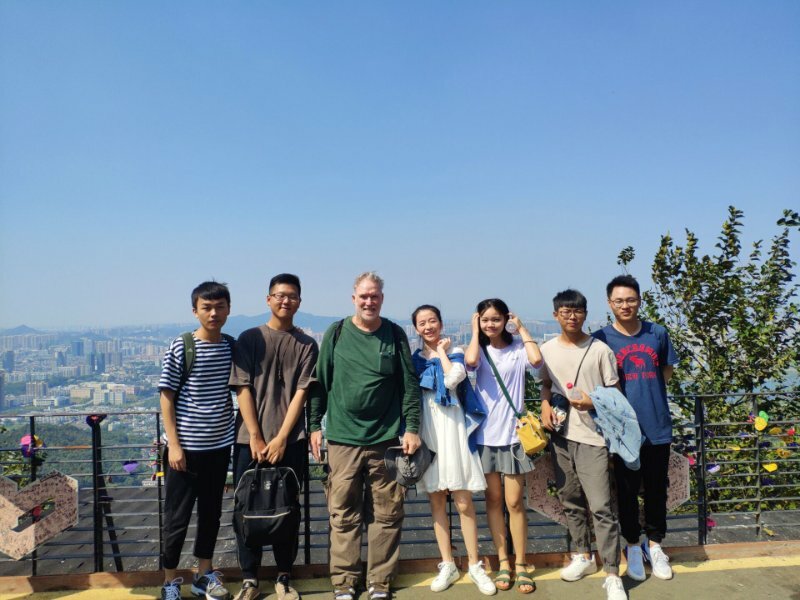 Here I am atop Yuelu Mountain in Changsha, with a group of Hunan University’s Traditional Chinese Medicine students, with whom I spent the day. My passport pouch can be seen under my shirt! The Changsha Martyrs Monument is very moving, beautifully designed and well-kept. Mid-Autumn Festival decorations were still up, in the foreground. 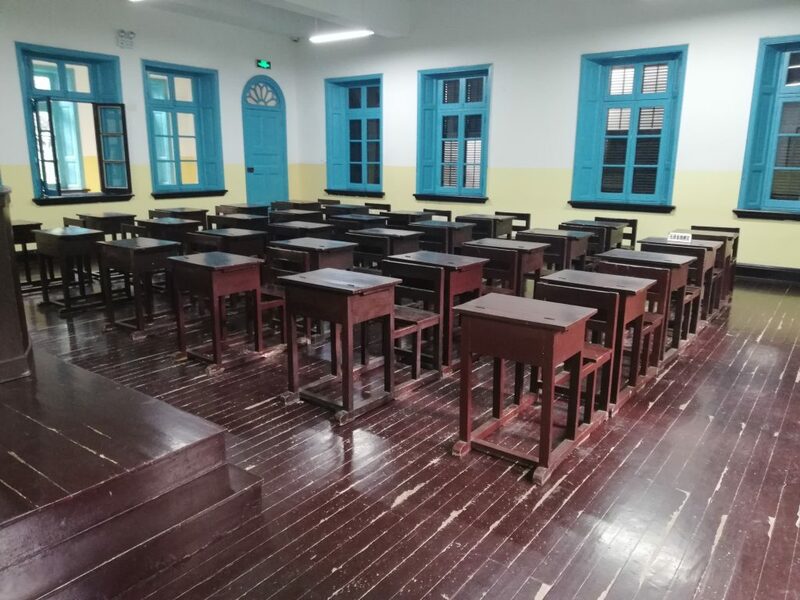 The Hunan First Normal School is where young Mao Zedong studied and later returned to teach. You can see the little plaque on the desk (right background) where he sat as a student. Lines of visiting youth sat in his chair to have their photo taken. 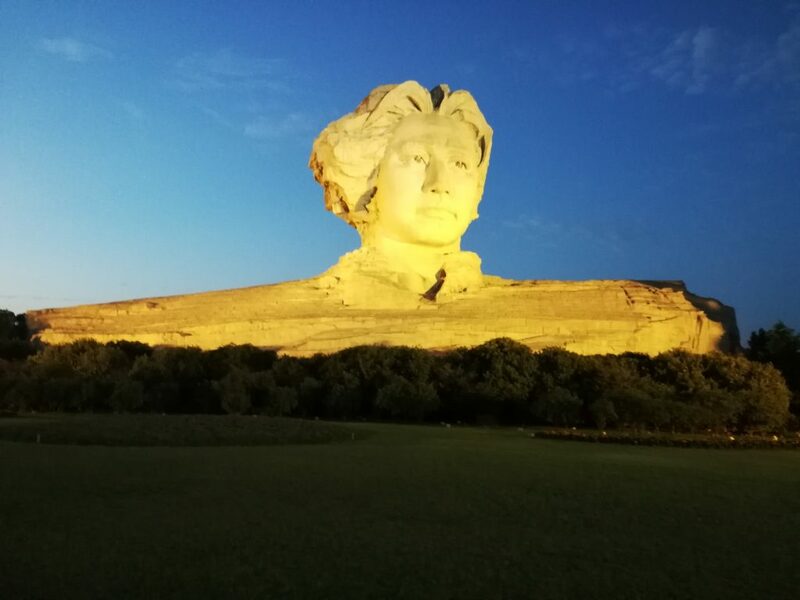 The Young Mao Zedong Monument is breathtaking in size and impression. I got there right at dusk, so the setting sky and lit monument were very memorable. Shaoshan has to be visited to be believed. I will be writing a couple of articles about what I learned and saw. This is the Mao Zedong Memorial. Thousands of people come, wave after wave, to pay their respects, with flowers and bowing in thanks. Hengshan Nanyue Zhurong Mountain has a number of Daoist temples and other sites to visit. The sacred temple is at the top of the second peak on the skyline, 1,300 meters above sea level. 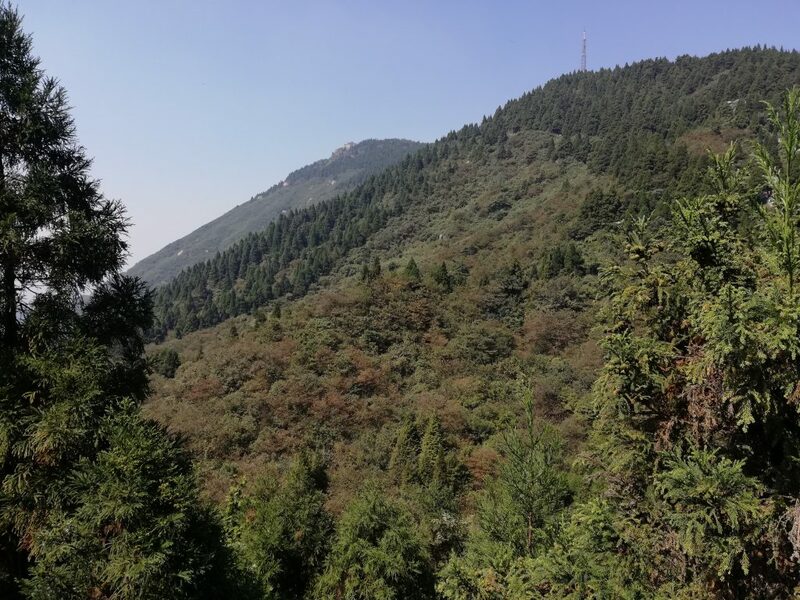 Hengshan is 100 MASL, so the vertical climb is 1,200m. Those are some majestic photos, Jeff. Have you thought of contracting with a magazine or art book publisher (e.g. 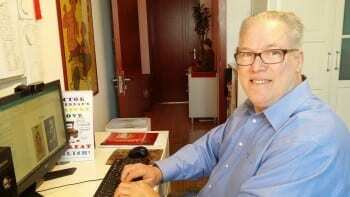 Taschen and its ilk) over there in China? You really should. You’ve got talent. It would be interesting if you saw the movie “Big Fish and Begonia” to discuss it on your blog. I’ll check out “Big Fish and Begonia”. If it is Chinese, I think I’ve seen it. 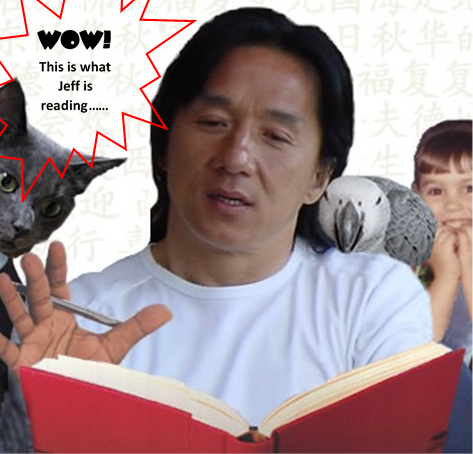 Doing Chinese movie reviews would be fun. 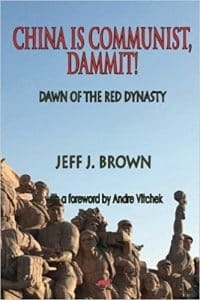 I’m also going to do some reviews on China-related books.